"High Quality Video DJ & Photography Included"
We do things a little differently; we listen to what you want. As a professional specialist wedding DJ with over 25 years' experience, Nik can bring his expertise to your reception but will never forget that it's the most important day of your lives. Give your guests the quality they deserve. From a small minimalist setup to a full-on mobile club PA and lighting. We also include free professional photography with every disco booked. Required by many venues, The Specialist Wedding DJ has a current PLI policy with Mobile DJ Network in the amount of £10 million. Also required by many venues, The Specialist Wedding DJ has supplied satisfactory evidence of holding current PAT inspections of their equipment dated within the last 12 months. A Method Statement outlining The Specialist Wedding DJ&apos;s Health & Safety procedure for setting up disco equipment has been provided. 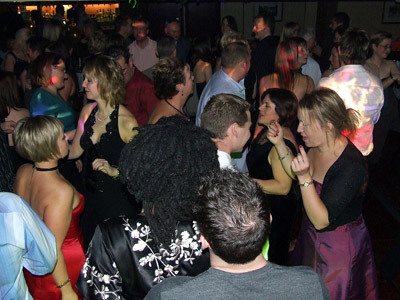 The Specialist Wedding DJ has provided Risk Assessments undertaken at events sourced via needadisco.com, indicating that they can undertake these competently. 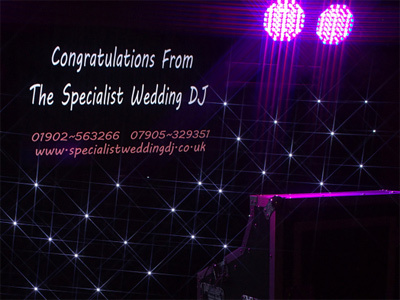 Why do people choose to book The Specialist Wedding DJ? First to quote. Detailed email. Included photographs of the evening in the price. Very helpful during email communication. "Nik’s choice of music and his whole set up helped make our wedding party special. he was open to guest requests and the CD of guest photography which he provided us with at the end of the day added a new dimension. 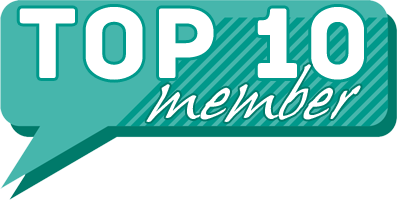 Very good VFM and would definetly recommend him." "Thank you so much for taking the time to leave such kind words. I am so glad you enjoyed the night and I hope you will cherish the photographs for many years to come. Nik "
"Nik came to do the DJ music for the wedding of my daughter 20 year old and her husband 21 yer old. The music played was older generation music, and few guess did enjoy it, but the young people came to us and ask to change the music. Nik was not very approachable and actually said I played 3 requests, but the other music was more 60/70's. Daughter was a bit upset that a request she put through was not played even so the card was signed the bride and another guess. (the song chosen was a tribute to a guess who was unable to attend as she passed away a month before the wedding). The photo taken were very nice, but would have we know that it would only be music played with no interaction because of the photo we would have chosen differently." "Many thanks for your feedback, though I am at a loss to some of your points. On the evening you asked me to play music from the requests slips handed in to me, this I did and over 90% of the music played was from those slips, many of them requesting older style music (I took pictures of them as proof). We provide an online request facility, so you can request songs in advance of the event. This was not used. You sent me a list of four Polish songs that I paid for in advance and played all of them on the evening, one of them twice. I am sorry an important song was not played on the night but if you request songs that I do not have how can I be expected to play them. As your event was on one of the hottest days of the year you and most of your guests were outside for most of the evening so interaction was limited. With all that said I do feel your feedback was a little unjust. " "I was very pleased with the entertainment that was supplied Nik he was very friendly and catered for all ages, the photographs he took and gave a copy of was a real nice touch, I would recommend him to all my friends and family and would use his disco again "
"Thank you so much for using my disco and photography services, best wishes Nik "
"Cannot recommend highly enough. We hired Nick for our fancy dress 25th wedding anniversary. We chose Nick as he had great feedback and the added advantage of being a photographer as well and including that in his package. As a DJ he was great. Good equipment and spot on with the music. The photography was the icing on the cake. He was kind enough to take a few ‘formal’ shots but the best were the informal pics that no one knew he was taking. These would appear on his screen throughout the evening and then we got to keep them on a disk. It’s a great (and far cheaper) alternative to a photo booth. " "Thank you so much for your kind words. I am so glad you enjoyed the evening best wishes to you both for the future. " "Nil was fantastic. He was always available to contact (or his wife, Helen) and was speedy in his replies. Made the whole event personal and read the audience. I wouldn’t hesitate to recommend him." "Thank you so much for taking the time to provide such lovely comments, we are so glad you enjoyed the service we provided. :-) "
"I was very pleased with Nik and Helen. They did a fantastic job and made the night perfect." "Thank you so much for the kind words, we are so glad you had a good time. Best wishes Nik & Helen x "
"Helen was a fantastic choice, entertaining everyone & took brilliant photos throughout the evening which are a lovely reminder of the party. Wouldn't hesitate to recommend. " "Thank you very much for your lovely feedback. It was a great night! Hope to see you again x"
"I was very pleased with Nik as he provided an excellent service on the night and everyone enjoyed his show especially the live feed of his pictures taken during the party. I would highly recommend Nik and will definitely use him again. " "Thank you so much for your kind words. Nik "
"Nik and Helen were amazing, I wasn't even aware that they had arrived or set up until the music started playing. They covered all our song requests and everyone loved the big screen with photos of the guests - especially the kids. At the end I was given a CD of all of the photos straight away and couldn't have been happier with my choice. Thank you again Nik and Helen for a wonderful night "
"You are most welcome, we also had a great time thank you for the hospitality. Nik & Helen x "
"Very pleased with how evening went. Catered for our 70's theme and requests were honoured. The photos are a lovely added bonus. Would happily engage and recommend Helen for any future functions." "Thank you so much for the kind words, it was lovely to play so much great music from the 70's. I am glad you like the photos which are also available on my Facebook page. Best wishes Helen x "
"Nik and Helen were excellent. They arrived in plenty of time to set up. They introduced themselves, were polite and courteous. As dj's nothing was too much trouble. They played the pre planned requests and announcements including ad hoc requests on the night. The music played was just what we wanted, a real party atmosphere that all guests enjoyed. The addition of the photos being displayed on the screen was fun and kept guests entertained. Thank you very much. Would have not hesitation in recommending to anyone. Would book them again first choice. " "We always try to arrive early, we feel it is better for us to be waiting for you to finish than the other way around. So glad you had a great time and best wishes to you both for your future lives as Husband and Husband. " "The photos were fantastic and the cd received with all the photos on topped the memorable night . Highly recommend very professional "
"Thank you for your feedback. It was a great night"
"Absolutely amazing service! Nik setup his equipment with no fuss whatsoever. Despite there being limited parking he worked with our other suppliers to move the vans round so I didn't have to do anything. He was friendly, smartly dressed and on time. I mentioned that I was a Counting Crows fan in one of my song requests and he downloaded several other songs by them to play during the night which was very thoughtful of him and a complete surprise to me and my wife. He took photos during the night which were displayed live on a videoscreen. This worked particularly well because we have lots of pictures of our guests reacting to seeing themselves on screen. All the photos (138!) were given to us on a CD at the end of the night so we have something to look at while we're waiting for our official wedding photographer to get back to us. I'm so glad I went with Nik as I nearly booked with a different DJ who was £100 cheaper but decided not to after he tried to up the price for adding a few extra lights. I was also worried that the other DJ only did weddings as a sideline and would prefer to be playing in a club, whereas Nik Andrews specialises in being a Wedding DJ . If you are trying to work out whether it worth paying that little bit extra I can assure you that it definitely is! The price he quoted was inclusive of absolutely everything and he added so much extra that we weren't even expecting. To Nik; Thank you so much! I won't ever be needing a Wedding DJ again but I will definitely recommend you to any of my friends who decide to tie the knot in the future!" "Thank you for your kind words. We have invested thousands in equipment and in our education as photographers. We do feel we offer more than many other DJs and I am so glad you recognised this and found the higher fee value for money. All the best to you both for the future. Nik "
"The specialist wedding DJ was brilliant at our wedding! The online request portal was a brilliant idea and the fact that he filmed our first dance for us and provided us with a CD with all of our pictures on it at the end of the night was something we really appreciated. I'd highly recommend the specialist wedding DJ to anyone. Thanks again Nik"
"Many thanks for using our services. I loved your special first dance and so had to video it too. This is something we do now and again if we have time to set up the extra cameras. Your guests were amazing and really got behind the party vibe. All the best to you both for the future. 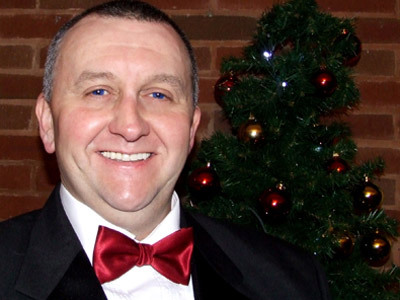 Nik Andrews"
"Helen was excellent and we are so happy we chose her to be our wedding DJ. Included in the package was Helen taking evening photographs which was brilliant as the evening is not often captured once the photographer goes home. Would definitely use again! " "Thank you so much for the kind words. We feel that giving you a DVD of the images taken through the night is something you can take away with you and treasure long after your wedding day. Best wishes to you both for the future. Helen x "
"We were very lucky to find Nik at very short notice but will definitely use him again for a Masonic Function"
"Thank you so much for your kind words. And thank you for your hospitality on the evening. I look forward to your event next year. Kind regards Nik "
"Would highly recommend, Did our wedding photographery as well as the evening Dj, really good value for money and everyone commented how good the music choice was, everyone up dancing, we also received our first framed photo on the day, which was a perfect extra touch, so friendly "
"Thank you so much for this amazing feedback and for using our wedding photography plus disco package for your big day. I have edited the 300+ images and sent them to you on the presentation DVD. Best wishes to you both for the future. Nik & Helen"
"Lovely friendly DJ, played good music. We especially liked the photo's she took and the way they were displayed during the evening." "Thank you for your feedback. It was a lovely evening. Thank you for booking me x"
"Excellent service provided, loved the pictures taken and displayed on the screen, this provided the extra touch to the whole night." "Thank you so much for the kind words. I am so glad you liked the pictures, we use only the highest quality equipment to produce them. All the best Nik Andrews (DJ Photographer) "
"This was our first time using Helen Andrew's Roadshow, overall the DJ's we're excellent and the photos we're fantastic." "Thank you. It was a great party!" "Nik was superb and made the night. His photographs of the guests he put on the screen was a great touch and the cd he gave us of the night was a great memory keeper "
"A great audience, who were up for some fun... Thank you so much for the feedback, and for using our Disco and Photography services. " "Nik was ill on he evening so didn't chat much to the audience but he had said he was unwell on arrival so all good. The photos were fab and a lovely touch to add to the evening." "Hi, Thank you for your amazing feedback, so glad you and your guests had a good time. I was indeed ill but I will never let a client down, as the old saying goes the show must go on. " "Nik was a lovely man who obviously knows his job very well and knows how to read an audience. I would definately recommend him to anyone. He took brilliant photos on the night which he gave us at the end of the night. He provided a top class service and he set up and packed up with no fuss or disruption." "Thank you so much, it was a pleasure performing for your 70th birthday party, you have some amazing friends who were truly up for a party. Best wishes Nik. " "Lovely DJ! Exactly what we needed! Had everyone dancing away all night! Thank you!" "Thank you so much and best wishes to you both for the future, "
"Perfect DJ for our perfect wedding reception. THANK YOU X "
"Thank you so much for using our services best wishes to you both. x "
"Photos were provided by Nik as part of the package. These were great photos however, as they were supplied to me on a cd I found it a bit antiquated to access them! " "Hi, so glad you liked the photo's, we find delivering the images on a DVD disc the best way as you can not accidentally delete them, and most computers have a DVD disc reader fitted as standard. Once accessed the images can be transferred to any device you may own. we also upload them to an album and provide you with the link. " "Helen did an amazing job as dj for our reception. She listened to the guests requests, was friendly and approachable. The photos and screen with music vids was bonus. The kids loved it especially. Amazing job. " "Thank you so much for your feedback. It was a lovely laid back reception where I was made to feel very welcome. And you danced all night!" 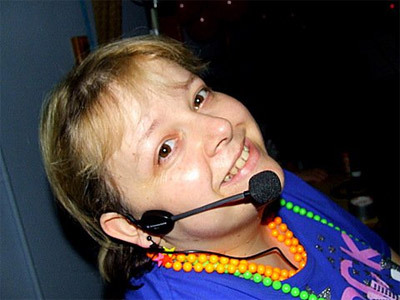 "Helen was a great DJ. She responded very promptly and helpfully to my emails in the run-up to the event. The function on the website for requesting songs was a little awkward to use but useful to have. I really appreciated being able to save requests in advance. Helen finished setting up early and agreed to start earlier too. The song choice was very good, but maybe the requests could have been played a bit more spread out. I also really liked the fact that she took photos, displayed them during the evening and gave them to us on a disc. Thanks, Helen!" "Thank you so much for your feedback. It was a great party. With regard to your requests, I try to make the songs fit. Sometimes that can mean they are spread out or they all just go nicely together! If people were enjoying them, I keep playing them!" "I was very happy with the service Nik provided. Our conversations ensured My Aunt's 90th Birthday Party was truly memorable occasion. My chosen playlist was complimented perfectly by Nik's music videos and are still a talking point with my Aunt and her guests. So too the photos that Nik took of the guests and streamed with our photos - a real viewing pleasure for us all! I would certainly recommend Nik to my friends and will be calling on him again for future. Nik, you professionalism was exemplary -thank you for everything :-) "
"Thank you so much for such kind words. It was a welcome change to be able to play some of the classics from yesteryear for your aunt and guests. I look forward to working with you again. best wishes Nik "
"It was great! Helen arrived before I did, set up with no fuss! Took some amazing pictures throughout the night, played most of the songs I asked for, and the ones I didn't ask for were the same music type as the ones I'd asked for. And of course the usual party classics were played to get everyone dancing (Macarena etc). Great communication leading up to the event, played right to the end of the night, I couldn't fault her! The music played wasn't to everyone's taste, but it was exactly what I had asked for our wedding disco to be! There is definitely something for everyone in her music collection, (which you can see and choose from before the day), from 50s, to rock, from country to the top 40. Not the cheapest DJ out there, but between the ability to set a song list prior to your event online, and the photos you get at the end, it's definitely worth that little extra!" "Thank you. It was a lovely evening - I'm glad I got to play some of your requests which were excellent! Much love to you both for the future x"
"wanted a mix of disco and ballroom, when saw the choice for ballroom had to get our dance teacher to work alongside dj as dj's ballroom collection was poor and only 2 artists, disco music was ok so only got 1/2 of dj's time, not very good value." "I emailed you a list of ballroom classics that I had purchased (approx. 700 tunes). You said they weren't suitable and, therefore, could your ballroom teacher plug her laptop into our PA so she could play suitable music which wasn't a problem. Had you told us what songs were suitable, we could have purchased them instead. At this point you were still happy to go ahead with the booking. Please read our other feedback where many clients have commented that we are good value for money." "Helen was fab she really made the evening special for us"
"Thank you so much for taking the time to leave a testimonial. It was a lovely evening. Helen x"
"Was very pleased mostly profesional although music requestd previously wasnt played and was expecting foam or bubbles which we didnt gt, and supplied many treats for kids as prizes and hardly any was given to kids from helen and we was not given massive supply bk. Helen took them all bk with her." "Im very sad to read this review. And a little confused as you gave me a big hug at the end and said how fantastic it had been. Some of the tunes I didnt play but as I mentioned in an early email to yourself, I would prefer not to play songs with inappropriate words in them. As many of the tunes were current ones, some did have unsuitable lyrics for children. I didnt take any of the sweet supply home, I gave out any surplus sweets to children who hadnt won a prize." "They were brilliant to deal with, communications were all that you could ask for. The brief was 70's & 80's music and the dance floor had to be full all the time, and that\'s what happened. The playback of the videos and photos is a great added feature. Would definitely deal with again and definitely recommend." "Thanks you so much for the testimonial. I had a blast too. Was great to play so many old classics. Best Wishes Nik"
"We couldn't ask for better. Nik and Hellen were both very friendly. Arrived early and set up very quickly. Music was exactly what we wanted and the photos were amazing. Would definitely recommend to anyone"
"Thank you so much for taking the time to leave a testimonial, all the best to you both, best Wishes Nik & Helen"
"Absolutely fantastic. I didn\'t even notice he had come in and set up, he announced the cake cutting without fuss even though we hadn\'t asked before the night. The way we could make a play list and guests could make requests via the website or Facebook is the best idea and worked really well. I loved the little touches with special songs requested for things like the hen party and stag do as well as the usual special songs. The disco was fantastic and to have the photos taken as well was a wonderful extra. The photos are great and really captured the fun of the evening. I would highly recommend the specialist wedding DJ. They were professional and friendly to deal with and great value for money." "Hi both, wow thank you for taking the time to leave us such an amazing testimonial. I am so glad you all had a good time. The venue you chose was amazing and your guests were indeed up for a party. Best wishes to you both from Nik & Helen Andrews, The Specialist Wedding DJ and Photography service." "Nik Andrews was our DJ at myself and Charlotte's wedding back in March. He was very good with announcements. Music choices were great got people up and dancing. We booked from 2pm-midnight and he was very happy to do this for us. The photos he took were amazing also got a disc to see them over and over again. Also they go on to the Facebook page of the DJ and your guests can see and like them also they are projected on the TV screens during the event....nice touch! Photos were amazing too. We had a lovely day and are very greatful for everything Nik did...would definitely recommend Nik a charming gent who will always stick to the requests of the bride and groom but will also take in to consideration request from guests. Great DJ and great price too thanks again Nik." "Thank you so much for taking the time to post such kind words. I hope you had a fantastic Honeymoon. all the best to you both for the future." "Excellent, couldn't have been any better"
"Thank you. It was a great party and I really enjoyed taking the photos x"
"If I could add more stars to the overallv value for money, I would without a second thought. I booked the right disco/dj without a shadow of doubt, he was great and I will look to use him again this year." "Thank you very much for the great feedback. And thank you also for introducing me to your family dance - I loved it! Look forward to working with you again soon." "Good Dj, & fantastic photos. Only negative is he got my name wrong 'Kelly' when my name is Kerry. When he posted the photos on Facebook it was Kelly & James's engagement. Which gave my family a laugh stating they hoped 'Kelly' was paying for the wedding." "Hi both, so glad you had a good time. Uppssss :-( sorry about the wrong name on FB I have changed it now for you. All the best to you both for the future." "Helen supplied a fabulous service, very professional & a playlist that suited the theme perfectly. We loved the touch with photos of the crowd during the night and that a DVD photo montage of the evening was provided. Nothing was too much trouble, very pleasant lady, very good setup, very interactive! I would have no hesitation in utilising her service again! Cannot fault in any way, shape or form." "Awwww, thank you. It was a fantastic night. So much fun! And Im back with you again this month. Very much looking forward to it x"
"We booked Nik on the basis that he offered a photography service as well as being a DJ and we were very excited about this. However when we received the photos he had only taken pictures of about 12 of the 70 guests and very few atmospheric shots. The pictures he did take were of excellent quality, I was just disappointed he didn't take more. Most importantly when I contacted him afterwards to see if he had any additional pictures, I received a very condescending email in return so I would definitely not recommend him in the future." "Thank you for your testimonial, I'm glad you enjoyed the disco. Below is the body of the email I sent to you, I am sorry you saw it as condescending, that was never my intention. With regards to the photography, it is an add on to the disco. It isn't something we charge an extra fee for. I am fore mostly the DJ and I take pictures mainly from behind the deck. My original quote email invites you to look at my Facebook pictures so you can see previous events and the style of pictures I take." "Excellent service, would highly recommended to anyone needing a disco"
"Thank you very much for your feedback. Look forward to working with you again next year x"
"Nik was great, very friendly and easy to get along with. He listened to all that we asked and even found us three new tracks for the evening. I would be very happy to recommend Nik and his team to others." "Thank you so much for you kind words. I hope you had an amazing Christmas and a happy new year. Best wishes also to your Farther." "We have worked with Helen before, she is professional, reliable and has excellent equipment. I would highly recommend booking her for childrens' parties!" "Great to see you again amazing skating lady! Have a wonderful Christmas and I hope to work with you again very soon x"
"Fantastic DJ. Played our music requests and kept us entertained. Would definitely recommend!" "Thank you very much for your feedback and for booking me x"
"Great kids disco - all enjoyed it"
"Many thanks for using my services. And for taking the time to leave me some feedback. Kind regards Helen"
"We were very happy with the DJ. The best thing was the photos that Helen took throughout the night. These were displayed on a screen during the night and then given to us on a CD at the end of the evening. We did have a list of songs that we wanted to be played and unfortunately, a few of them weren;t played. However, overall the DJ was excellent and I have already recommended her to a number of friends." The Specialist Wedding DJ also offers a range of additional party services not directly linked to musical entertainment. Please note that needadisco.com has no editorial control over these images which are stored on flickr.com. If you have any concerns about what you see below, for example potential copyright infringement or unsuitable content, you should take this up with The Specialist Wedding DJ directly using the Contact section below, or else you may alert flickr.com directly quoting "set number 72157632994340643". Professional female DJ & Photographer. If you are contacting The Specialist Wedding DJ about an event, it's always a good idea to include the DATE, LOCATION, EVENT TYPE, AGE GROUP and TIMINGS to speed things up!